Horse girl and proud of it. Has strong opinions about fonts. This holiday season, as families gather around the fire to open gift-wrapped boxes filled with the latest gadgets, many ex-felons will receive a present far more valuable: the right to vote. Yet what seems like a joyous occasion raises a troubling question — is voting a privilege to be bestowed only on the favored few, or a critical right that forms the very foundation of our democratic government? In Kentucky, convicted felons are permanently disenfranchised; their voting rights can only be restored by an executive order from the governor. Prior to leaving office, former governor Steve Beshear signed an executive order to automatically restore voting rights to nonviolent ex-felons upon completion of their sentences. Two weeks after taking office, governor Matt Bevin rescinded that order, claiming that it was unnecessary. Since Bevin took office, more than 1700 felons have submitted applications to restore suffrage. As of this September, Governor Bevin had granted 981. That leaves over 700 applications we have no way of tracking. Even more troubling, according to Judy Johnson of the Lexington League of Women Voters, is that Bevin signs applications only twice a year: on the Fourth of July and Christmas. Our governor apparently does see re-enfranchisement as a special gift to be dispensed only on holidays. As Amanda Hall, an ex-felon who now works for the ACLU of Kentucky, told me, “There’s no rhyme or reason to whose rights the governor restores, or whose he doesn’t, or when he signs those papers.” Hall’s own application sat on the governor’s desk for “about two and a half years,” an exorbitant length of time that is dishearteningly common in Kentucky. The severity of this situation becomes clearer when viewed in a national context. After Florida’s recent passage of Amendment Four, which automatically restored suffrage to people with prior felony convictions, Kentucky is one of just two states, alongside Iowa, that permanently disenfranchises its felons. 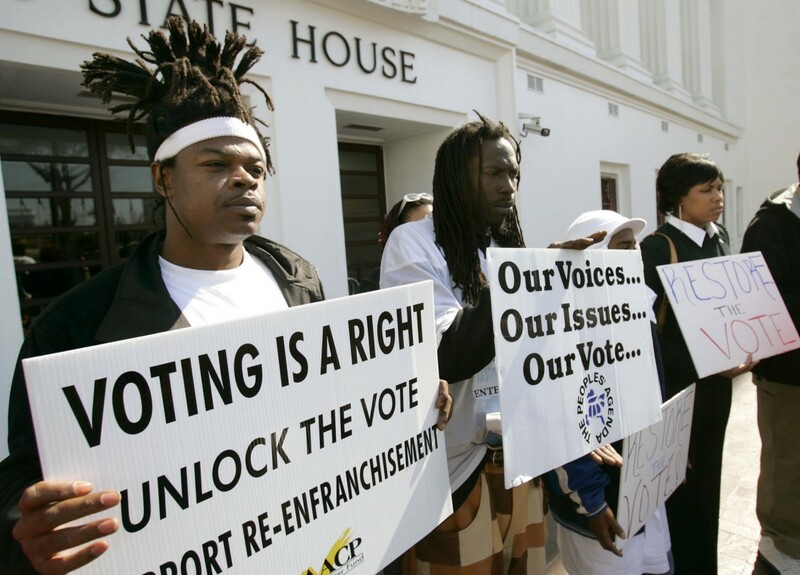 And what a problem it is: almost one in ten adult Kentuckians have lost the right to vote due to a prior felony conviction, including an estimated one in three African American males. Kentuckians in the latter group are over twice as likely to lose their right to vote as to have a college degree. This racial disparity in and of itself is a sign that the current system is broken. Losing the right to vote also means losing the ability to participate in politics, causing many felons to feel disengaged from their society. Studies have shown that disenfranchised felons are twice as likely to recidivate as those with voting rights. Without the ability to file ballot initiatives like in Florida, it can seem difficult for Kentuckians, even those with voting rights, to induce legislators to pass legislation to re-enfranchise felons. But we must exercise strong political will on behalf of those whose voices have been silenced. But we must exercise strong political will on behalf of those whose voices have been silenced. So in this holiday season of joy and relaxation, let’s remember one thing: voting may feel like a gift. But it should be a right.